Up to $20 Off VIP & More! Purchase your tickets online today and save up to $20! Tickets start at just $33/pc before taxes and fees. Be sure to compare all offers to get the best rates for that dates/times you would like to attend. Comedy Cellar from NYC is the hot spot where Dave Chappelle, Ray Romano, and Jon Stewart got their start. Now, in Las Vegas, it features only the best rising comedians. Experience the blazing stand-up comedy at the new Comedy Cellar. Book online today to save up to $24 off tickets. The premier West Coast location of the iconic New York Greenwich Village comedy club is open at the Rio Suites. Showcasing new and upcoming talent in the comedy industry, the Comedy Cellar will have an intimate feel in the 300-seat venue. 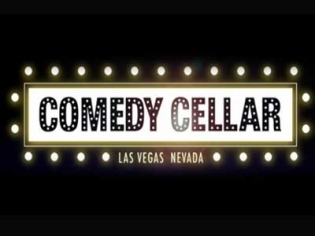 Enjoy comedy headliners that you know or will soon be hearing all about in the new Comedy Cellar at the Rio Suites. Using a showcase format, you will see 5 headliners performing for 15-20 minutes each. This is the newest relative of the original Comedy Cellar in NYC, which launched the careers of virtually every comedian in the last few decades; some of the most famous names are Jon Stewart, Ray Romano, Chris Rock, Amy Schumer and Dave Chapelle. The venue is much larger than their New York namesake and with multiple shows nightly you will be able to get in, unlike the NYC venue. Also, there will be a food menu provided by the world-class chefs at the Rio.